Egypt, the third most populous country in Africa, was suspended last weekend from that continent's regional organization, the African Union (AU). The suspension comes after months of unrest in the country, in which massive popular protests led to the military overthrow of the government last week. The suspension is being taken very seriously by the parties involved. The AU's Peace and Security Council typically suspends member countries when they experience coups or other breakdowns of constitutional rule. Egypt joins three other African countries which are also currently suspended for similar incidents: Madagascar, Guinea-Bissau, and the Central African Republic (CAR) (see the links for information on each country's constitutional crisis). 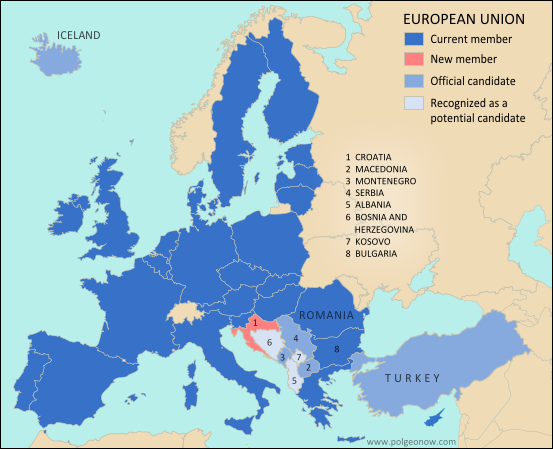 Every UN-recognized country in Africa is a member of the African Union except for Morocco, which withdrew from the OAU in 1984 after the organization chose to admit the partially recognized state of Western Sahara, a disputed territory which Morocco claims and largely occupies. The only other parts of Africa not represented in the AU are a few groups of offshore islands controlled by European countries, as well the small Spanish enclaves in North Africa. 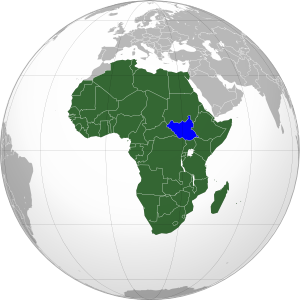 The breakaway Republic of Somaliland is not a member, but is considered by the AU to be part of Somalia. 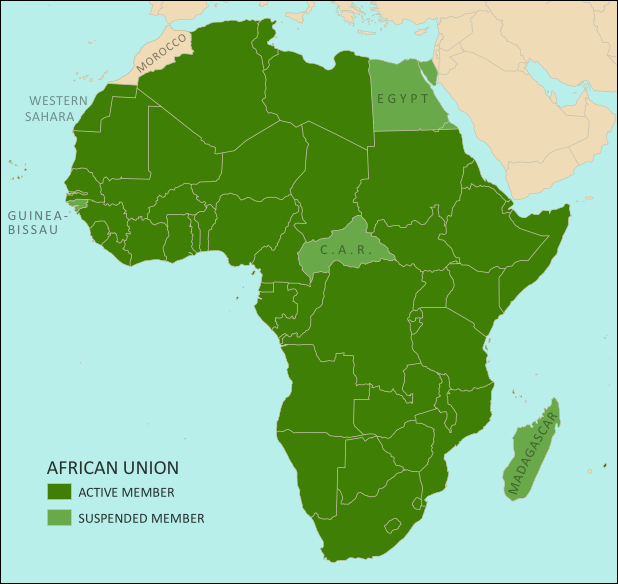 Low-resolution graphic of the African Union flag is displayed under fair use principles (source).